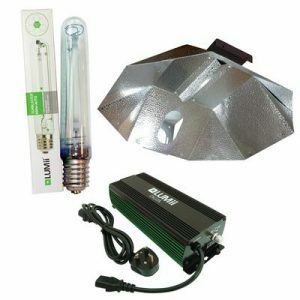 The Hellion kit consists of an Adjust-A-Wing Defender Reflector, 400V DE 750W Lamp and a Dimmable 400V digital ballast with 450W, 600W or 750W options. 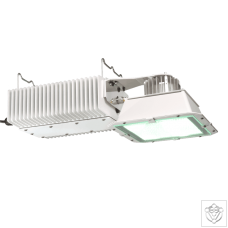 The Hellion light can be installed in two ways, as a remote ballast or with the ballast attached to the reflector, as one complete unit. 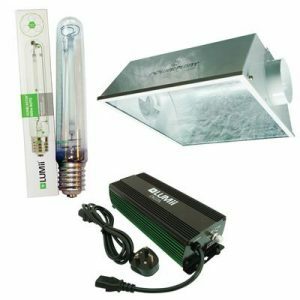 A specially designed Super Spreader is included with the Hellion kit that allows closer placement of the light to your plants by eliminating the risk of hot spots. 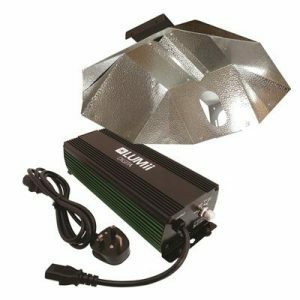 The three stage adjustable Defender reflector and dimmable 400V 750W ballast ensures that the Hellion light offers flexibility that is second to none. 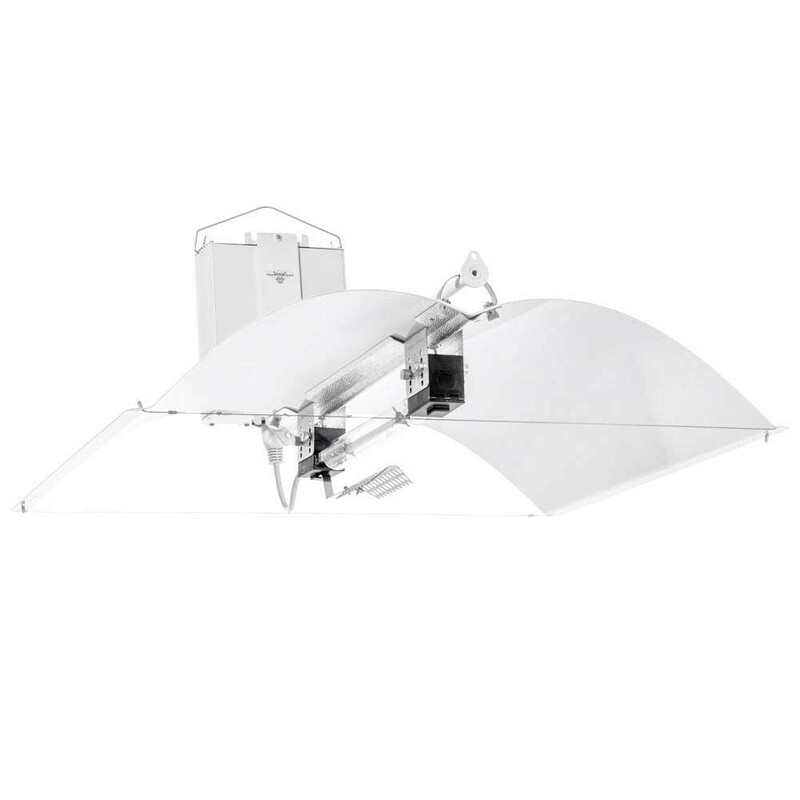 The Adjust-A-Wings Reflector, Hellion ballast and Hellion DE lamp are all crafted from materials of the highest quality. These three components combine in harmony to create the Hellion Defender. A lighting system of unparalleled power and performance. Super Spreaders are designed to disperse radiant heat, not to block light. 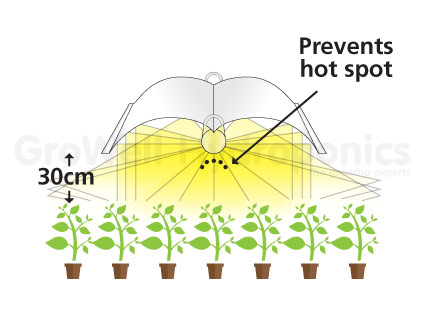 They ensure that all plants feel nice and warm, not just the ones directly beneath the lamp. Set your system up to suit your growing area. 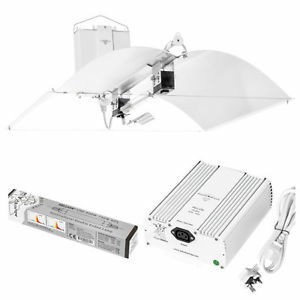 A fixture style combination unit or a remote ballast unit with 450W, 600W and 750W selectable power settings. Incredible Light Spread Means Bigger Yields! 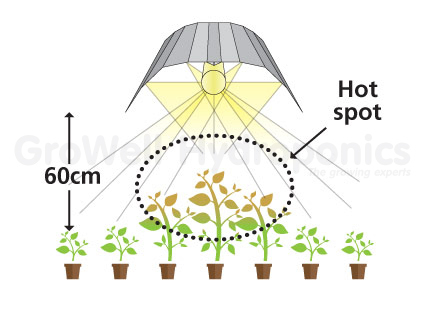 The Hellions produce perfect, even light distribution across your crop. No hot spots or cold corners, just beautiful even growth.